David Dzienciol is responsible for driving the strategic direction for NEXTDC's information technology and software development groups. As part of NEXTDC's commitment to providing a world class customer service, David drives customer experience initiatives across the company, while deepening our engagement with NEXTDC's more than 700 customers and 300 partners. David is a successful and dynamic business innovator with a distinguished career in technology across APAC, covering security, storage, cloud computing and brokerage, new market entry, SaaS, PaaS, IaaS and more. With an in-depth knowledge of internet-based industries, David is a seasoned professional with the ability to think strategically while implementing hands-on solutions. 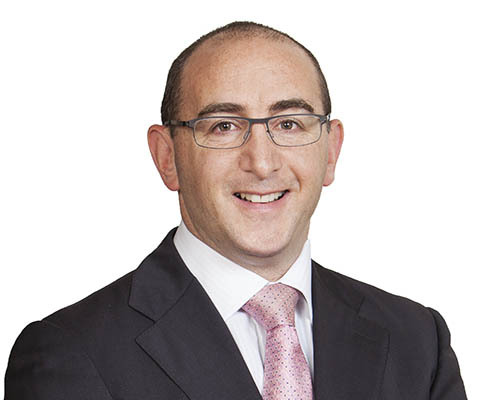 David’s leadership and communication strengths have enabled him to develop a highly regarded reputation for building strong, high performing teams through disciplined execution and leading by example. Prior to joining NEXTDC, David was based in Hong Kong as the APJ Vice President and General Manager at Parallels, a privately held Virtualisation and Cloud Automation technology company, where he oversaw all aspects of APJ business across all lines of the Parallels portfolio. David held several senior positions at Symantec before working at Parallels, most recently as Vice President – Sales (Channel/SMB/GSP) in APJ. There he was responsible for channel and SMB business strategies, and establishing the relevant infrastructure that drives market share and revenue growth for the region’s businesses. His previous role at Symantec was Senior Director – Enterprise Sales and Partners in APAC. In this role, David was responsible for driving sales and operations in enterprise and partner business across Australia and New Zealand and served as one of the senior leaders for the region’s overall Symantec business. Achieving tremendous business growth and success for Symantec, David was instrumental in establishing Symantec in ANZ as a leading provider of security and storage solutions.